An interior view of the Broadview Hotel located at 400 W. Douglas in Wichita, Kansas. The hotel was built in 1922. 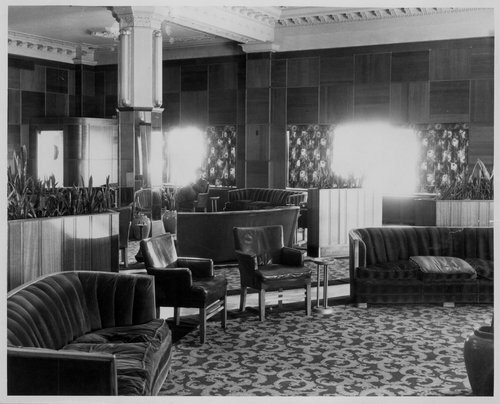 The photograph shows the hotel's mezzanine.